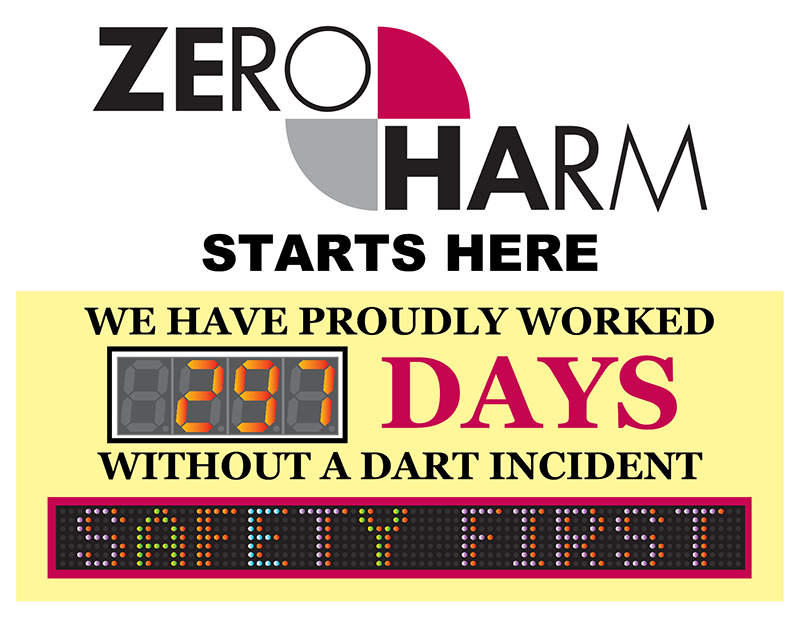 Automatically track your days without accident with this 2.3" counter and display inspirational safety messages to your workforce at the same time on the integrated scrolling message display! 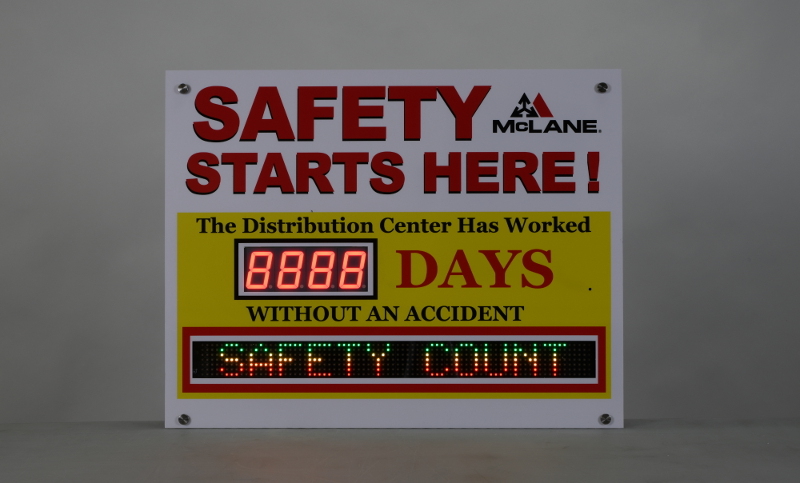 Enforce responsibility and encourage safe work practices with this 22" high by 28" wide days without accident customizable safety scoreboard. 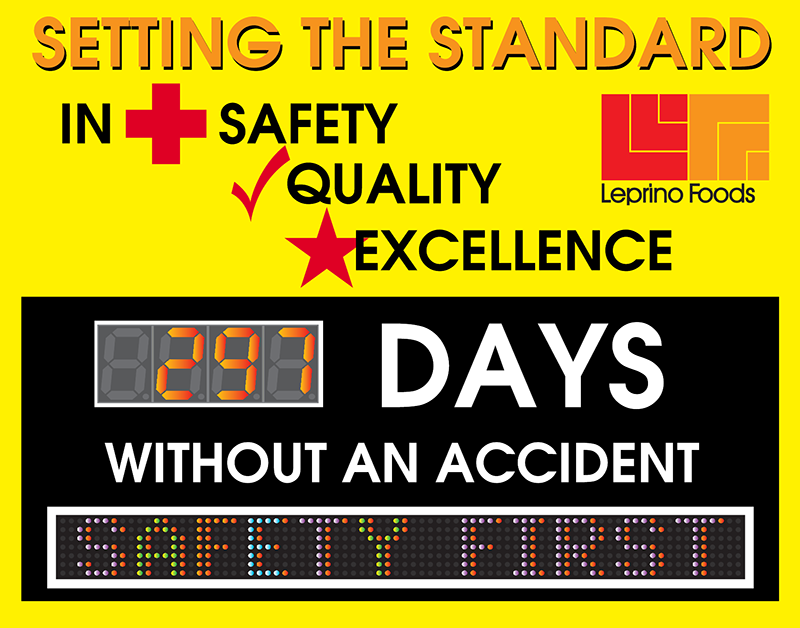 The 4 digit display has 2.3" super bright led numbers that will track safe work days without human intervention. The highly visible multi color LED message module with 2 inch tall letters allows you to display a regularly changeable message visible indoors up to 100 feet.